How Do I Know If I Would Benefit From Treatment? Anyone wishing to improve the beauty of their smile and functionality of their teeth and jaws may benefit from orthodontics, or braces. Patients must begin treatment with optimal oral health, and an understanding of what is involved. Orthodontists or their treatment coordinators should provide all the information necessary for the patient to decide if the treatment is for him or her at the initial consultation. The physical examination of the mouth, and review of the x-rays will determine whether your orthodontist will prescribe braces for treatment. It is up to you whether you feel it is a worthwhile investment of your time, effort and money. Extremely Narrow Arches – It is easier at a younger age to expand the palate or jaw if the expansion needed is extreme. 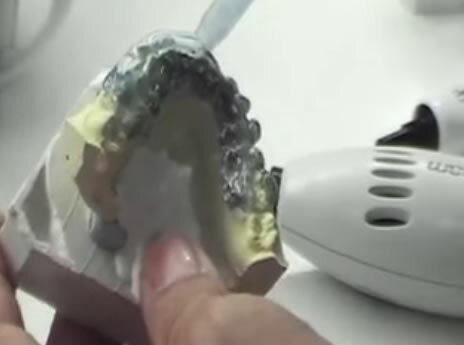 Extreme Discrepancy in the Jaw Alignment – a large ‘over’ or ‘under’ bite can be greatly improved by using a functional appliance or headgear to guide the natural growth to a desired position. Missing or Extra Teeth – by examining what is beneath the gums by using x-rays. Perhaps the parents had not been aware of available treatments, or were not financially able to provide this service for them, and they are now working and able to pay for the cost of treatment for themselves. The suitability for treatment with braces is not determined by age, but by the healthiness of the teeth and gums. With the increasing knowledge of the availability of invisible braces, many parents and grandparents are wearing braces with no one else knowing it! (Often, the children or grandchildren are used as guinea pigs to make sure it is safe and comfortable.) At this age, their concerns 2nd and 3rd to aesthetics and function are comfort and safety!